Probably not the most catchy headline for a blog, but this is what we wanted to say – Thank you! This year, we offered 190+ hours of training sessions and our instructors were running full-day classes as well as two-hour-sessions back to back. 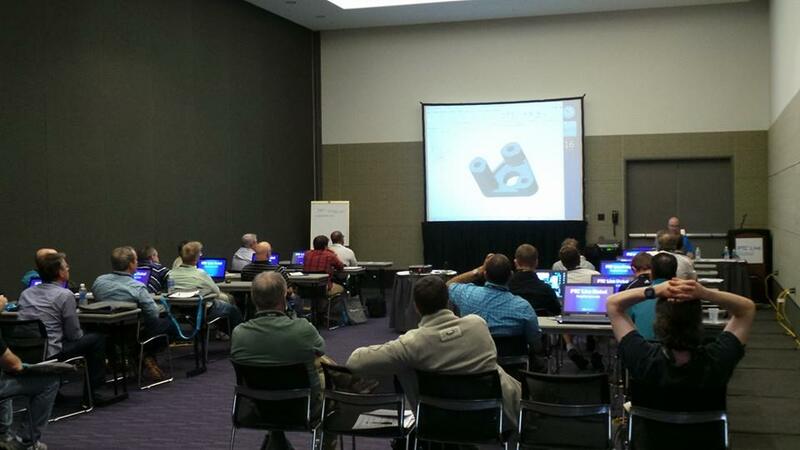 We shipped roughly 150 laptops to the Boston Convention Center, just for the training rooms. Quite a logistic task, but absolutely worth it! We saw great attendance this year and many of the sessions were fully booked in advance. The level of last-minute onsite registrations was higher than in previous years, but gladly, we didn’t have to send anyone away, as the rooms at the venue were large enough to accommodate plenty of observer seats. We also just received the evaluations from the event website where attendees could give feedback on the trainings they attended. Again, thanks for taking the time to submit your feedback – we appreciate it and will take your suggestions seriously to shape the agenda for future events! Registration for PTC Live Stuttgart (Germany) in November is just about to open. And, of course, we are all excited to see you again in Nashville, Tennessee, in June 2015! PS: A few quotes from the feedback form we received… again: thanks a million! "Jake did a great job at sticking to the topics and keeping the audience involved." "Great session...I learned a few things...that is ALWAYS good." "Another fantastic presentation from Adam. Hope to run into one of his sessions in Nashville next year. Adam provided a great training session"